The 1st Marine Division fight a determined Japanese force on Okinawa who prefer death to surrender and are indifferent to the lives of Okinawan civilians. Water is in short supply and the stifling heat takes control on Peleliu as Leckie is wounded and evacuated. 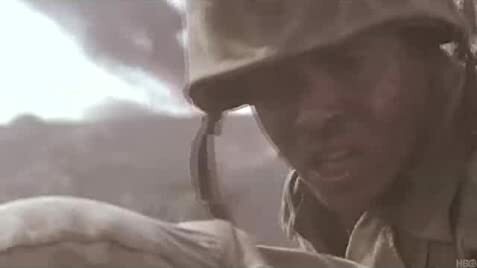 Sledge finds the carnage and death of his companions on Peleilu increasingly difficult to bear as Basilone continues his bond drive in the States. How many episodes of The Pacific have you seen? Q: Why does Shelton (Snafu) take the gold teeth from the dead Japanese soldiers? Q: Will there be any actors in "The Pacific" that also played in the original BoB? Q: Is the miniseries based on any books? 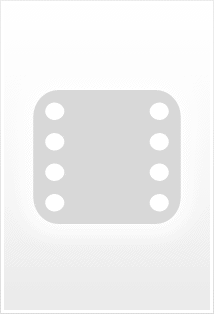 Are they still available? "The Pacific" is Tom Hanks and Steven Spielberg's epic 200 million dollar miniseries from the creators of the brilliant 2001 series "Band Of Brothers'. 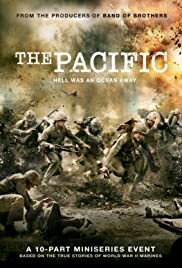 Much like with Band Of Brothers, The Pacific gives us an unflinching look at the horrors of war, not just the physical but the mental horrors these men must face. As an audience you are pulled through this experience, watching in horror as limbs are torn from bodies and men are burned and mutilated. In a way even more distressing is watching the emotional scars and effects this has on our main characters. This is not a perfect series and does suffer from some major flaws but overall it's an extremely harrowing experience but one that is needed in an age where war is often glorified, this series does anything but that. Narrative and overall story: The Pacific is based primarily on two memoirs of U.S. Marines, With the Old Breed: At Peleliu and Okinawa by Eugene Sledge and Helmet for My Pillow by Robert Leckie. The miniseries follows both these marines Sledge (played by joe mazzello) and Leckie (James Badge Dale) there is also the addition of marine John Basilone (Jon Seda) but he is a lesser focus. Now unlike Band of Brothers we follow these characters separately as they are part of different divisions, the first few episodes follow Leckie and his experiences, the latter on Sledge. In a way this is both an interesting way of narration but also maybe the biggest flaw of the series. This spilt narration gives us two very separate journeys which in a way bonds us closer to the characters. The downfall is that Leckie's story is just simply not as interesting as Sledges, from the moment Sledge is introduced to us i felt an instant sympathy and connection with him, here is this shy, awkward eighteen year old desperately longing to fight in the war but unable to do so thanks to a heart mummer, of course his determination gets the best of him and enlists. The character and his overall story is simply miles more compelling than Leckie's thats what makes the first three or four episodes somewhat lackluster. When the sole focus is on Sledge this series reaches its incredible potential and becomes something truly amazing, Sledge and his journey is really the heart and soul of this series. Acting: With such a depressing and intense subject matter first class acting was expected and the pacific delivers. Every single cast member gives a great performance, its gripping and believable acting at its best. The stars are undoubtedly Joe Mazzello who plays Sledge and Rami Malek who plays Corporal Merriell Shelton or "Snafu", a highly intriguing character who forms a close friendship with Sledge. Both give Emmy worthy performances and in Malek's case i would say Oscar worthy. These are two very complex and incredible performances. Mazzello plays our lead which such an intense and subtle power: his character goes from a naive and passive teenager to hardened killing machine full of rage it is an incredible character arc and Mazzello plays it to perfection. As the series comes to a close we really see what Mazzello can do: Sledge is beginning to lose himself, he has become ruthless and in one single pivotal scene he regains his humanity, his compassion and his redemption. Its a truly powerful scene and one in which Mazzello does not utter one word, his face says everything and its heartbreaking. In fact that is Mazzello main strong point, his ability to convey much more than what is going on just by his eyes and face, there is so much complex emotion behind his eyes it makes for a fascinating watch. Rami Malek gives the most impressive performance of the series playing "Snafu". His character is incredibly creepy and odd, obviously numbed by the horrors of the war, but there is something there that makes the audience warm to him. Malek completely becomes the role, every mannerism, twitch, blink of the eye is perfectly done. lines such as "I like to watch the new guys sweat." are said with such odd intensity its actually mind blowing. I will call this performance perfect which is a very rare thing indeed, if only Malek could win an Oscar because this performance truly deserves the highest acclaim. Malek and Mozzello also have fantastic chemistry, playing off each other perfectly helping to only further this touching friendship. Direction: remember the opening sequence of "Saving Private Ryan"? well imagine that times 20. I would say this is the most realistic portrayal of what an actual battle must have felt like. The battle scenes are simply epic and wonderfully directed, even if you hate everything else anyone can see the direction is incredible within this series. Overall: the major flaw of this series if the first 4 episodes they simply don't have the emotional impact of the rest, in fact they border on dull. However as soon as Sledge and Snafu become our main focus this series becomes a true epic. This series will take you on a haunting experience, you will be horrified, you will be moved, you will laugh, you will cry. As long as you stick with it through the first few episodes you will not regret it. 83 of 102 people found this review helpful. Was this review helpful to you?